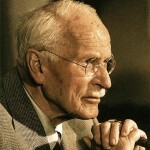 PAJA is offering comprehensive training for individuals interested in Jungian Analysis. The training consists of two levels – basic and advanced – structured as a series of weekend seminars with both theoretical and clinical parts. The First Level training is in the closed group of maximum 12 participants.This part is being taught by two teachers. On the 3rd of March the General Meeting of Polish Association for Jungian Analysis took place. It marked an end of the Board term 2010-2013. During the meeting The new Board for the term 2013-2016 has been elected. The meeting was followed with in-house conference – with participation of members and trainees of PAJA. “The meeting of two personalities is like the contact of two chemical substances. 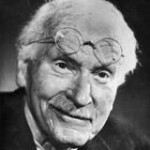 If there is any interaction, both are transformed.” C. G. Jung Polish Association for Jungian Analysis (PAJA) was established in January 2010. It aims to create framework that could provide the training environment for people applying analytical psychology in diagnosis and psychotherapy.